So I did my compost turning earlier this week. Messy job, but I’m glad I did it. It was too wet, though, so I’m looking for anyone in the area who wants to donate their grass clippings. 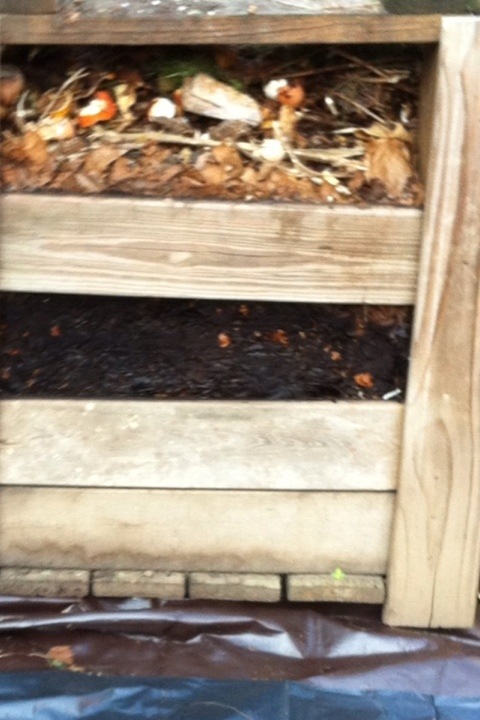 My compost was way too wet, and I recognize it’s because I have neglected the dry ingredient part of the equation. Composting is like magic though. 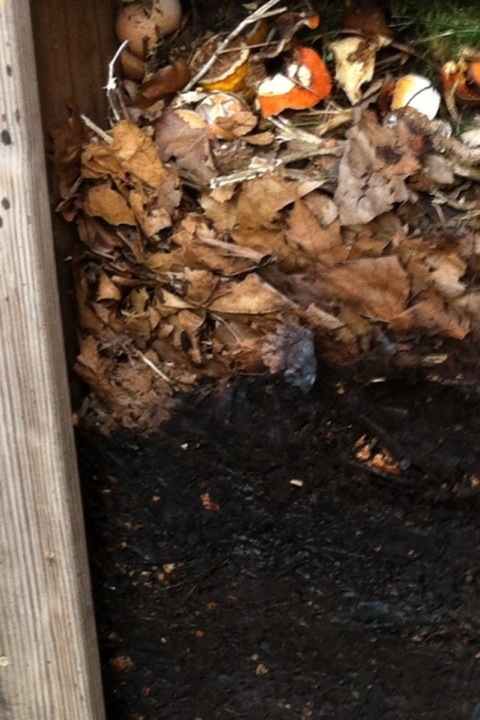 Despite my neglect, I still got two large bins of black gold out of the wet mess that took over my compost bin. Nature’s on it, even when I’m not. 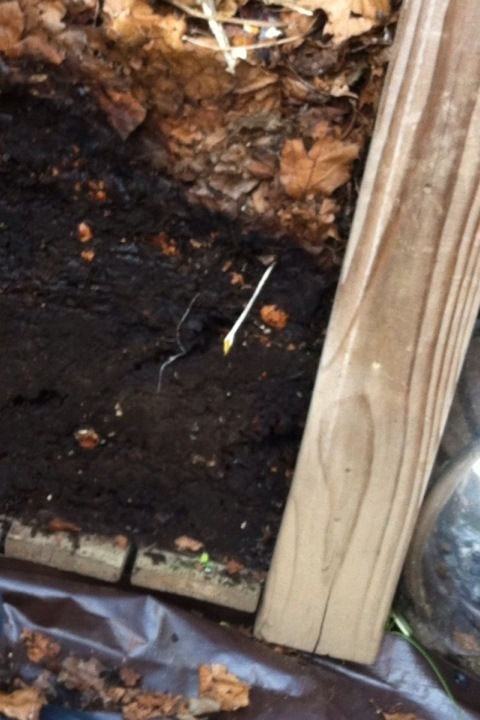 Witness, below (last photo), the persistent wild onion that thrives despite its unwantedness. I swear I’m starting to truly admire these pesky buggers. I’ve heard of people picking up bags of clippings from the curb, or asking the local drive by gardener for some. The one warning I’ve heard about using ‘foreign’ material for mulch/ compost is that it may contain chemicals from other people. This topic came up recently on The Survival Podcast and some time back on Growing Your Grub. If I recall correctly, Jack (survival podcast) tests questionable batches of compost by mixing it with soil, then planting something sensitive to chemicals- I think leafy things like lettuce but check that to be sure. Silly question, can you throw some dry soil in there? I can’t recall ever hearing anyone doing that, but I don’t think it would harm anything. I don’t know about you, but my yard has some clumps of clover and scattered grass. If you have the same maybe you can use that. Good question about throwing soil on it. In fact, that is exactly what I did. I took all of the everything that was in there out, put it through a large-holed sieve (the kind that looks like it might be used in an archaeological dig), and collected what I could of the soil (got two large containers full – not bad, really). Then I returned the rest to the compost bin, trying to layer the really wet stuff with newspaper and soil that I still had from last year. I had some soil in planters that I left to see if anything would sprout up on its own (nothing really happened there — it has in the past so I thought maybe I’d see a sprout or two but no such luck this year). I’m happy I kept those planters around, though, because the dry soil was very useful on my wet compost pile. Btw, I love that podcast. Caught one recently that I’ll link to on beneficial insects in the garden. 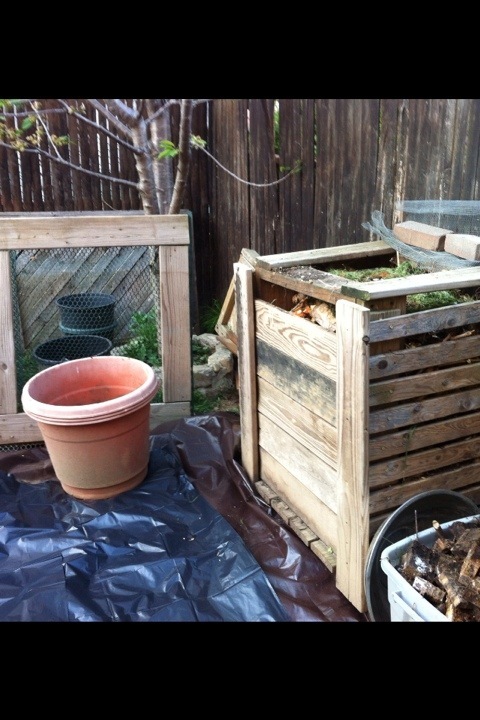 I you don’t have a hot compost pile going, another thought may be to add some worms into it. From what I’ve heard the breakdown process goes a lot faster with worms. There seems to be a preferred worm type or two for the purpose, but regular garden worms should help. I believe the process is called vermiculture (sp) or something close to that.